Oxford Research Group invited me to write a short article on Unarmed Civilian Peacekeeping for their ‘Sustainable Security’ programme. We are curious to find out what we can learn about conflict and peace through culture…what does it look like if we start from the clothes we choose to wear, the films we make, the music we listen to and the places we memorialize? In Myanmar we are finding multiple conflicts which look different across the country, the complexity is mind-blowing, and in the future I will be reading reports of ceasefires and agreements with a new understanding. Culture can be the everyday meaning we give to the way we construct our world. Our thinking today has been on the importance of narrative – what is the story which is being told? We have been asking (others and ourselves) ‘how did you first know about conflict, whatever that may mean to you’. We hear messages and stories from our parents, elders, teachers, media and friends – sometimes these become narratives – a message so powerful that we accept it as true. These narratives can tell us that there is an ‘other’ someone or some group who is different to us, or has characteristics we don’t like, or who can even threaten us. The narrative runs in our head and affects our attitudes and behaviour….which then can contribute to conflict. The overall narrative that ‘going to a war is a heroic act’ (different to the reality that we know, which is that war is horrific) is prevalent in most societies and one accepted by many and used to support violent intervention and the arms trade. What we’re learning about the importance of narrative is not just revelation to direct violence, but is making me think about the politics in the UK (and now the USA). I am wondering how much the UK Leave campaign and the Trump campaign used narrative to win – how much is politics is now about the stories you tell, not the facts or policies you propose. Here in Myanmar the narratives are as strong as they are in the U.K., and just like in the U.K. there are many who are creatively challenging them and creating new narratives about the importance of peace. 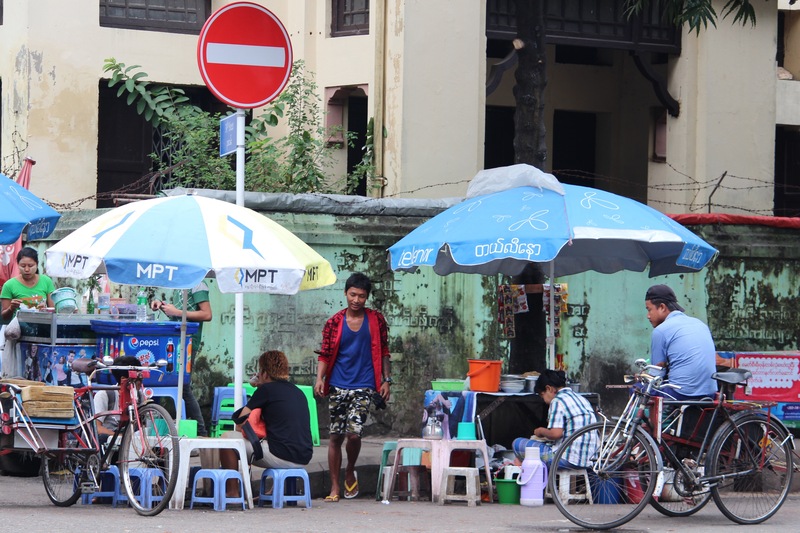 Life is certainly lived on the streets in Yangon. Food stalls, markets, books, teashops and meeting people all happens as you walk along the busy and crowded streets. As well as stray dogs, bicycles and lots of cars! I walk through these streets and travel the roads as we go to meet those who are willing to share stories about living here. I am meeting with local people who work for peace in different ways and listening to them talk about their lives and their work. We have met a storytelling organisation who write and produce books for children about peace, friendship and tolerance. They send them out to children and libraries and schools so they can think and discuss about the way we want to live with other people. Some children have written their own illustrated stories about peace and conflict. We have met some amazing artists who use their skills and work to talk about peace, who sing about peace, organise festivals and are making magazines where people can discuss their hopes and visions. I am struck by the huge change that people living here have faced. 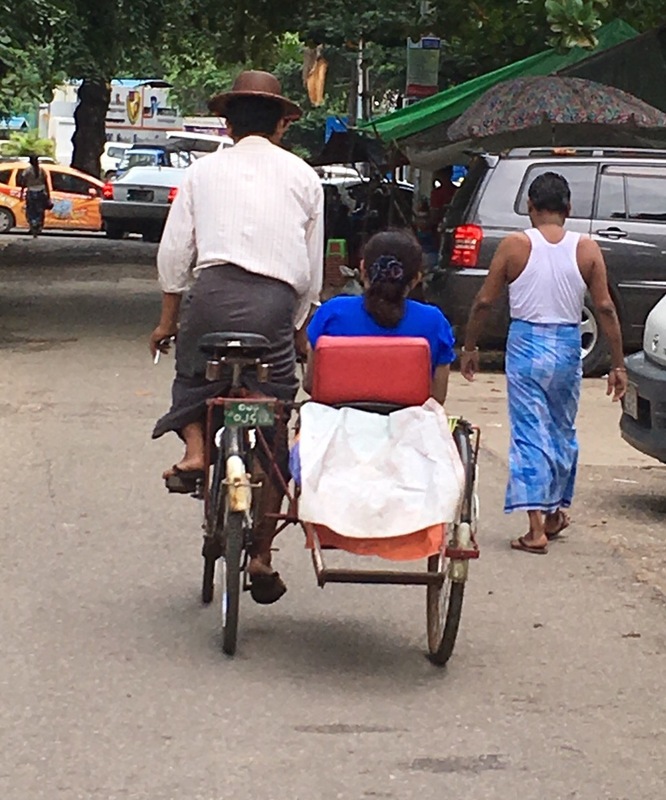 The difference that in Yangon they can now organise for a peace in a way which was not possible, before means that the people we meet are talking about different kinds of conflict and violence and how it affects their lives. It is so interesting and I am learning so much from people, and about the ways in which violence and conflict and peace are present in our everyday lives. How are we approaching the research into culture, conflict and community? If I asked you to tell me about your community, what would you say? If I asked you to tell me what your community thinks about the conflicts that it is involved in (this is not the same as violence, every community has differences and conflicts! ), how would you explain it? Would you choose stories, tell me about events you do together, or symbols that unite you? Would it be easier to explain the conflicts between the generations, that the community has with ‘outsiders’, or link it to the past? In peace and conflict studies we don’t have a set methodology for finding out the intricate differences of lived experience in communities and how that might be important to our understanding of conflict and peace, and we have often relied on social science methods of interviews or data that has already been categorised into aspects we want to know about. In this research we are drawing on other disciplines to see if we can find a way of listening with curiosity and are not restricting our understanding because of preconceptions that we have. We are drawing on ethnography, and particularly the way of observing and noting everything that people say, wear or do, as potentially important in understanding. We are drawing on community engagement work where evidence suggests that there is power in the process of communities stating and sharing their visions and perceptions, so by asking and listening we already change some of that relationship. We are drawing on cultural studies and the way in which it frames the importance of lived experience and the embedded nature of culture. We are drawing on feminist approaches to understanding power. Some work has been done, for example John Paul Lederach’s work in Nepal where the close working with communities revealed environmental conflicts that had been hidden, or in his book ‘When Blood and Bones Cry out’ where social healing is explored through stories. Adam Curle’s work also from peace studies is focused on the building of relationships. Historian Mandy Sadan has been collecting stories in Myanmar, with a different focus, and has put collections of photographs and stories online. I have done desk research, and I think there is so much we can learn from Myanmar about the power in our own communities and the importance of enquiring about the conflicts within and between us, and more consciousness about the way we give our culture meaning. What can we learn about conflict by studying culture and lived experience? For the past few months I have been working to explore the way in which we link culture, the meaning we give to our experiences, and conflict. 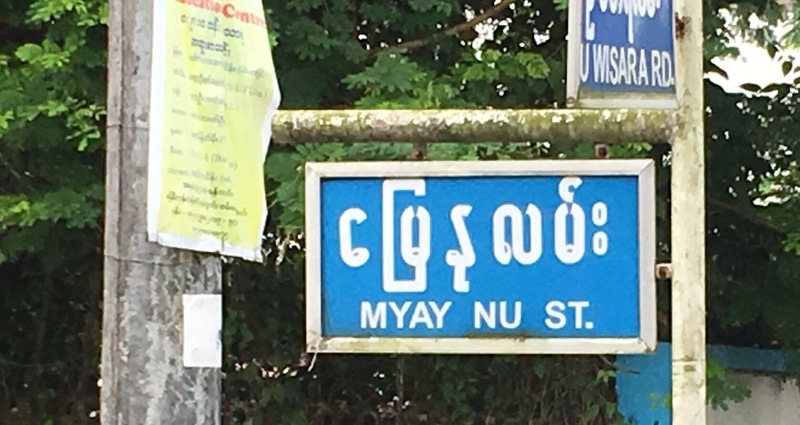 Next week I am joining colleagues in Myanmar where we have the privilege of meeting and listening to people who live there, and hearing about their lives and enquiring with curiosity how that helps us understand conflict. I will be posting reflective posts here during the trip as part of the research process. We are pleased to announce that the newly established ‘Unarmed Civilian Peacekeeping/Protection Research Network’ has a website. Visit https://ucpresearch.org.uk/ to take a look and get in touch with us if you are interested.